busy international performing schedule includes regular appearances in many of the world’s renowned concert halls, among them the Tonhalle Zurich, London’s Wigmore Hall, the Vienna Konzerthaus, Munich’s Residenz, the Capella and the Philharmonia of St. Petersburg, and the Azerbaijan State Philharmonic Hall in Baku. He has given a number of live radio and television concerts, for broadcasters Bavarian Radio, Norddeutscher Rundfunk, RTS, RSI, SRF and WMFT, among others. As a soloist, Croisé has appeared under the batons of conductors such as Michael Sanderling, Mario Venzago, Laurent Gendre, Kevin Griffiths, Ayyub Guliyev, Alf Årdal, Maurizio Dones and Dimitris Botinis, with various orchestras including the St. Petersburg Symphony Orchestra, Bern Symphony Orchestra, Azerbaijan State Symphony Orchestra, Skyline Symphony (Frankfurt), Camerata Zurich, Munich Radio Orchestra, Südwestdeutsche Philharmonie Konstanz, Sichuan Symphony Orchestra, St. Petersburg State Capella Symphony Orchestra, Collegium Musicum Basel, Orchestre symphonique de Mulhouse, Albanian Radio Television Symphony Orchestra, Bayerische Kammerphilharmonie, Orquesta Sinfónica de Michoacán, Harbin Symphony Orchestra and South Czech Philharmonic. St. Petersburg, New York and Baku, the Lucerne Festival, Davos Festival – Young Artists in Concert, Menuhin Festival Gstaad, Salzkammergut Festwochen Gmunden, Schwarzwald Music Festival, Festival de Sully, Belfast International Arts Festival, Emilia-Romagna Festival and Festival international de musique de Wissembourg. 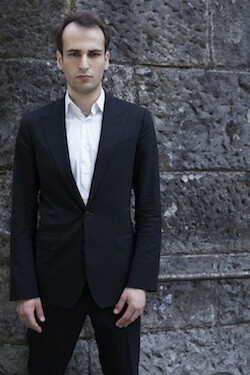 As a chamber musician he has performed with Dmitry Sitkovetsky, Mayuko Kamio, Alexander Zemtsov, Bartek Nizioł, Sergey Ostrovsky, Oliver Schnyder, Oxana Shevchenko, Nikita Mndoyants, Lorenzo Soulès and Alexander Panfilov. Croisé has taken first prize in a number of competitions, among them the Schoenfeld International String Competition (Harbin, 2016), the Manhattan International Music Competition (2016), the International ‘Salieri-Zinetti’ Competition (Verona, 2016), the International Johannes Brahms Competition (2015), the International ‘Ibla Grand Prize’ Competition (Sicily, 2010), the International ‘Petar Konjović’ Competition (Belgrad, 2009) and the Migros-Kulturprozent (Zurich, 2015 and 2016), as well as 3rd Prize at the International Carlos Prieto Competition (Morelia, Mexico, 2016) and Gold Medal with honors at the 1st Berliner International Music Competition (2017). In 2017 he was awarded the Swiss Ambassador’s Award. His debut album with Oxana Shevchenko was released in May 2015 on Quartz Classics. 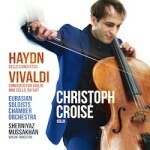 Croisé began playing the cello at the age of seven under the tutelage of Katharina Kühne. Since 2007, he has been studying with Alexander Neustroev and, as of 2013, with Wolfgang Emanuel Schmidt at the Berlin University of Arts. He has additionally benefited from major artistic advice from Steven Isserlis, Michael Sanderling, David Geringas, Walter Grimmer and Frans Helmerson. Christoph Croisé plays on a Goffriller cello made in Venice in 1712.